If you are looking for an extension to existing floor and office area or increasing your storage space, a mezzanine could be the perfect thing, they are also cost effect and flexible. CPF strive to deal with each request individually as the client’s needs and budget vary completely, we will always look for the most cost effective way for the client’s needs to be achieved. 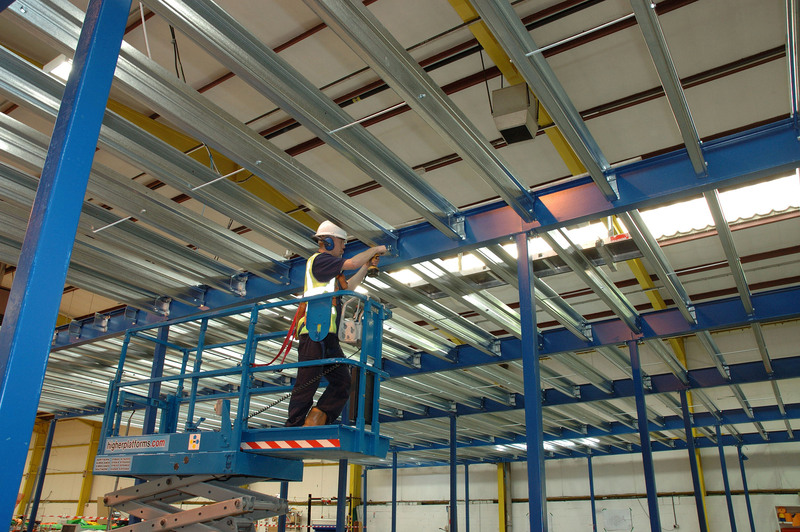 If the client has a specific RAL colour for their company, we will use that reference to powder coat the mezzanine where possible to seamlessly integrate into the company. We can also offer a varied range of ancillary products including; handrails, balustrades, gates and fire protection. 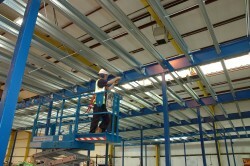 We strive to meet the exacting standards of our clients and whatever their mezzanine need is. CPF are based in the North West, but with our connections built up over years of experience we can offer all of our services throughout the UK.